To celebrate the new Summer Trails, Kendal BID are giving away a £100 Kendal Gift Card! This fantastic prize can be spent in over 100 Kendal businesses including beauticians, fashion boutiques and restaurants. 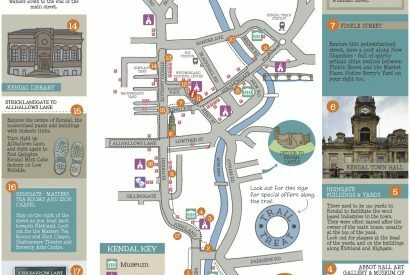 Entering is easy, simply download or collect your Trail map, complete the competition slip and hand it into the Kendal Tourist Information Centre. 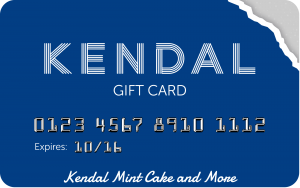 The Kendal Gift Card is a visa based gift card which can be used across Kendal. The card works in the same way as department store / shopping centre gift cards but for the whole town! You can buy a card online. 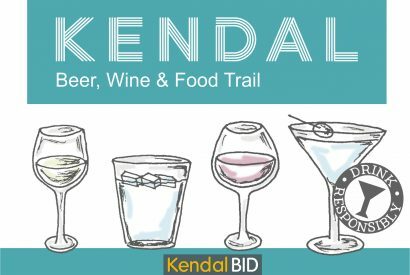 Kendal BID Summer Trails Competition. 2. This competition will run until 23:59 on 21st September 2018. 3. One winner will be selected at random. 4. The prize consists of a £100 Kendal gift card that can be used in any participating retailer. 5. If you are the lucky winner, you will need to provide your email address, phone number and home address as instructed at the time of being announced as our winner. 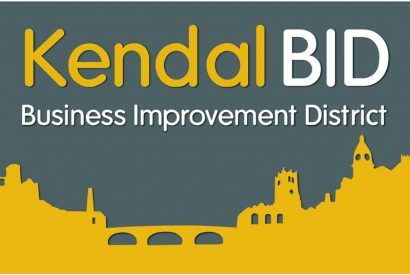 Further details will then be provided by Kendal BID as to how you claim your prize. 6. Kendal BID reserve the right to provide an alternative prize of equal or greater value in the event of unforeseen circumstances. 8. No purchase is necessary. No refund may be claimed for expenses incurred in participating in the promotion, including in relation to the use of the internet. 9. Kendal BID reserve the right to exclude any entries which they believe to be inappropriate, fraudulent or based on misconduct. 11. The winner will have 48 hours to claim their prize from the date that they are contacted as a winner. After this time we reserve the right to select a new winner. 13. By taking part in this promotion, all participants consent to the promoter collecting, storing and using their personal data submitted with their entry for the purposes of this promotion. 15. The winner's name can be obtained by sending an SAE and covering letter to: Kendal BID (address available on www.kendalbid.co.uk), after closure of the promotion. 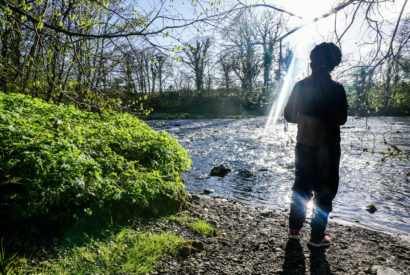 Enjoying the Kendal Trails? 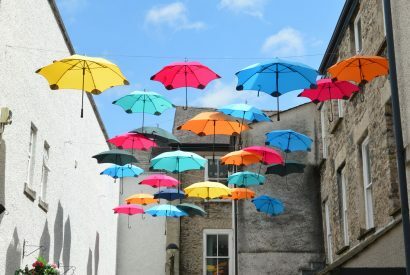 We hope you enjoy following the vibrant trail of umbrellas through our bustling town. Don’t forget to take photographs showcasing your Kendal experiences. Share them on social media using the #kendaltrails #visitkendal and we will showcase our favourite images here!